Knit rows 1 - 4 until piece measures roughly 7" in length and you've just knit row 4 of your pattern. 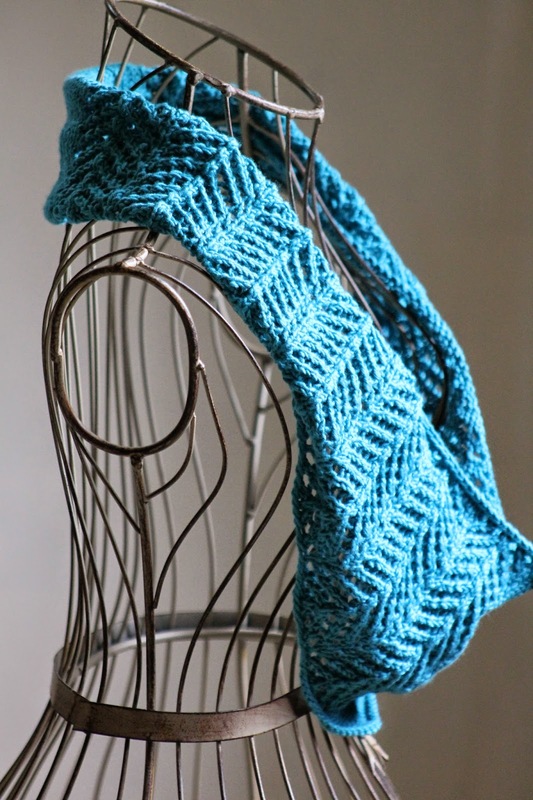 Bind off loosely, tuck in ends, and block. Finally, seam along 20 stitch stockinette portion at the back of the piece. Tuck in your new ends and block seam if you're finicky about that kind of stuff (I am not). Wear proudly! 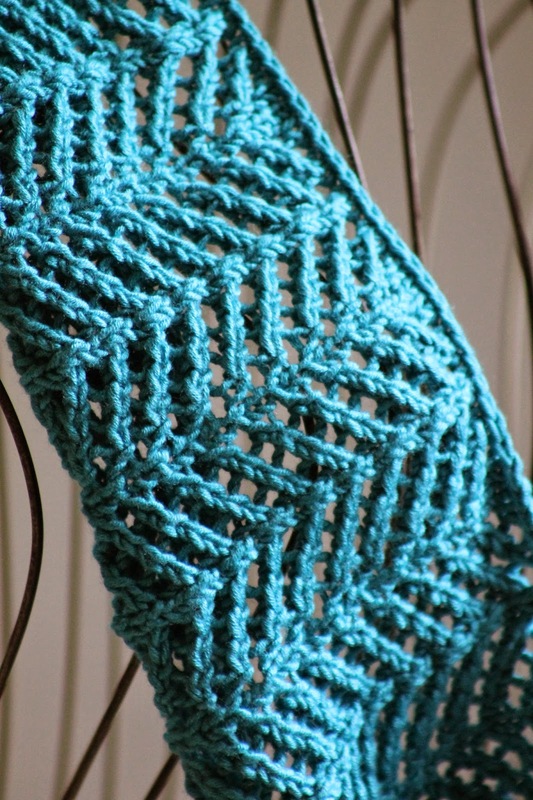 This stitch really does show off this color! Love this shade of blue! Thanks Linda! This is definitely a yarn I fell in love with. 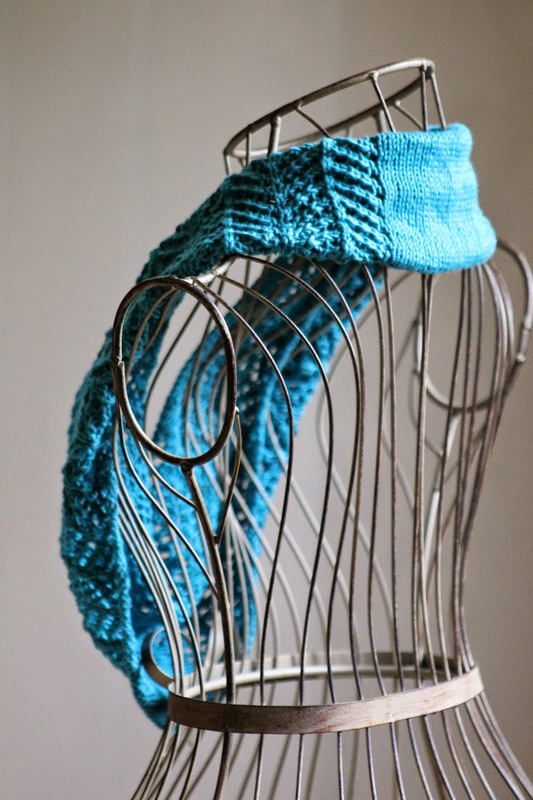 I found my way to your blog after finding your patterns in the ebook 'How to knit an infinity scarf'. 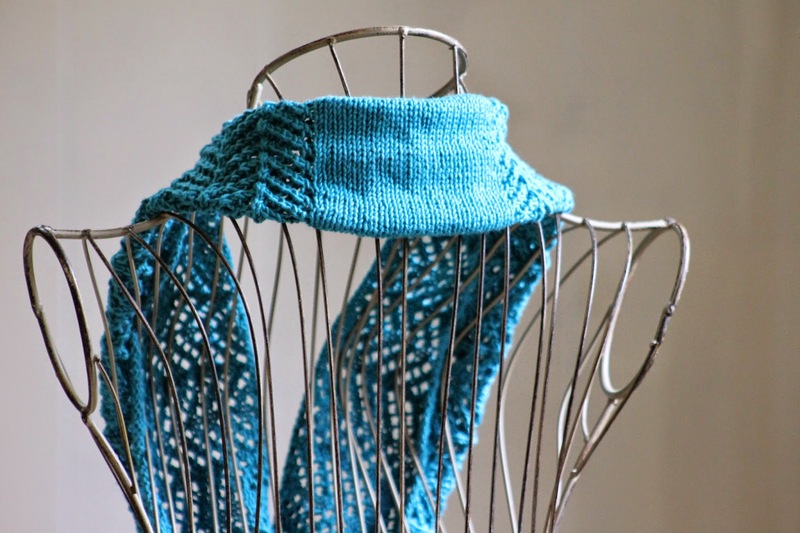 Thank you for all your free patterns and for sharing your creativity so generously. I'm glad to hear you like my stuff - I love to make it! 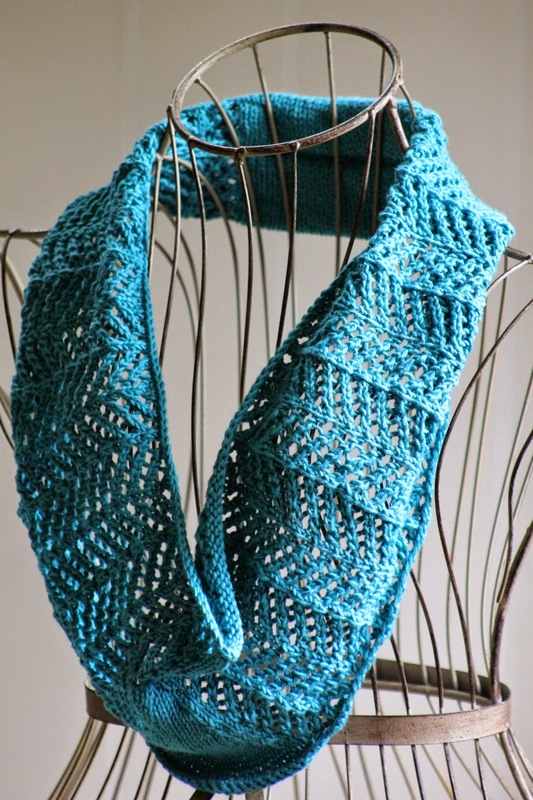 And please, if you ever knit any of my patterns and have questions, let me know. I'm always happy to help! 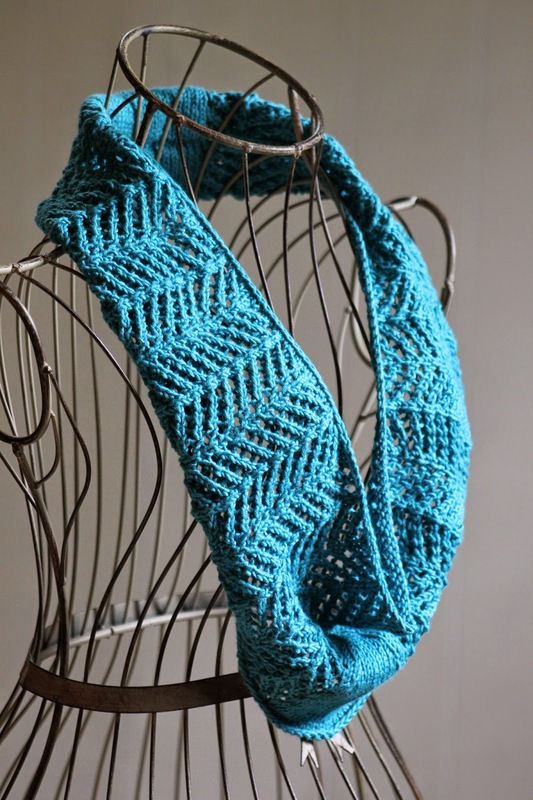 This pattern is lovely, but after reading the directions, it seems intermediate rather than easy. Why seam if it is knit in the round??? Is this long enough you could double it and wear it closer to your neck? 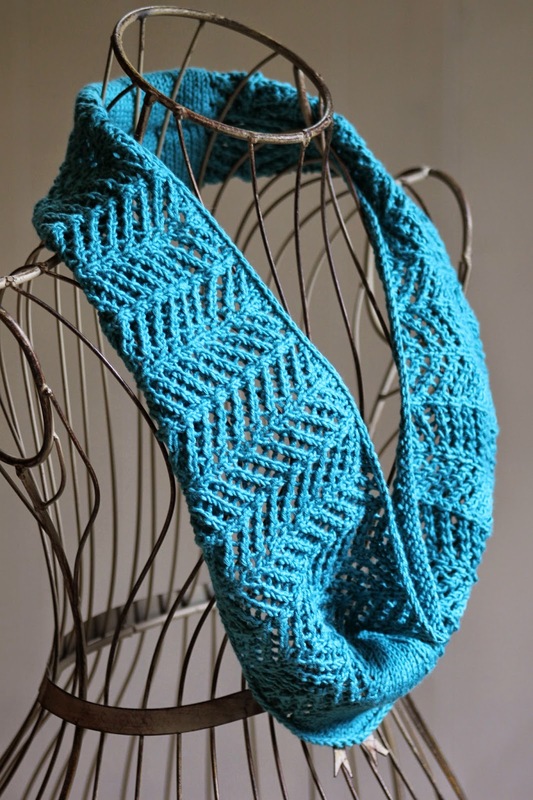 Would like pattern in scarf rather than cowl. 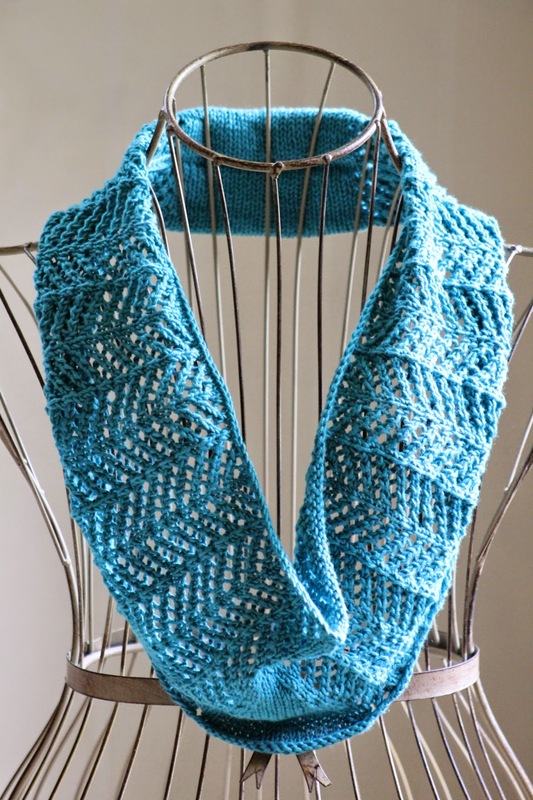 Can you send instructions for a scarf?